Whether running is the best exercise for weight loss or not, it remains common that when most people embark on a fitness journey, they jump straight into running as opposed to walking in order to torch calories. And to prove that such a decision is worth it, research shows that running is more effective than walking for the average person as it burns more calories per minute. 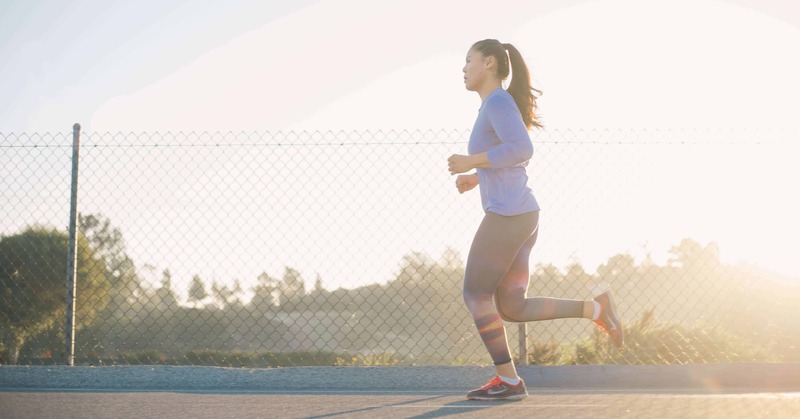 If you are not a runner yet, this is one more reason to take notes as we explore the amazing benefits of running in the morning for veteran runners and beginners alike. 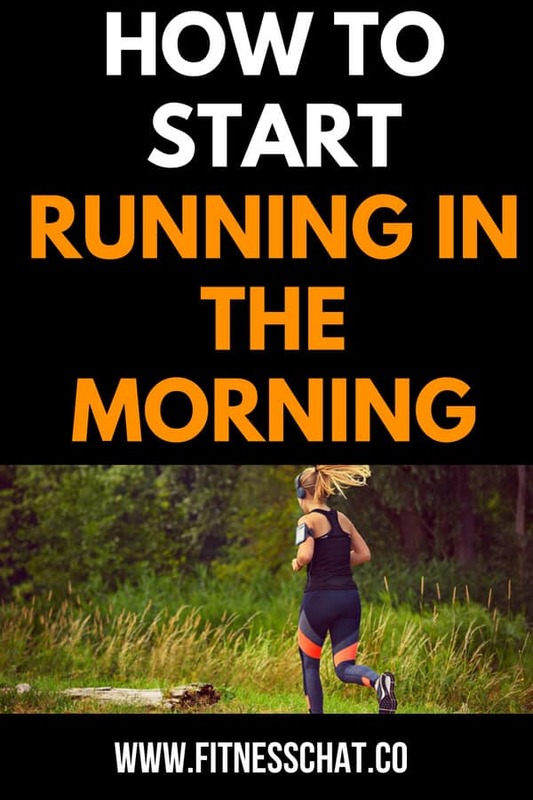 If weight loss is one of the reasons you want to start running in the morning, then you are off to a good start. Running regularly, 5 days a week for 30 minutes, at low intensity will temporarily speed up your lipid metabolism, a process by which stored fats also known as triglycerides are converted into energy. If you want to become a fat burning machine of envy that continues to burn fat hours after the workout is over, then you would have to add strength training to your running routine. Increased muscle mass will boost your metabolism further since muscle burns three times more calories than fat. Introducing muscle building workouts such as weight lifting and high-intensity interval training workouts (HIIT) to your morning runs will ultimately help you lose weight faster and improve your physical conditioning. The main reasons some of us aren’t usually consistent with exercising are that there isn’t just enough time in a day to throw in a workout, or we are too tired at the end of a work day to do any more physical activity. Another major reason people can’t commit to consistently exercising is that life is full of sudden events; things suddenly coming up at the end of the day requiring your attention is plausible enough to push a pre-planned workout aside. 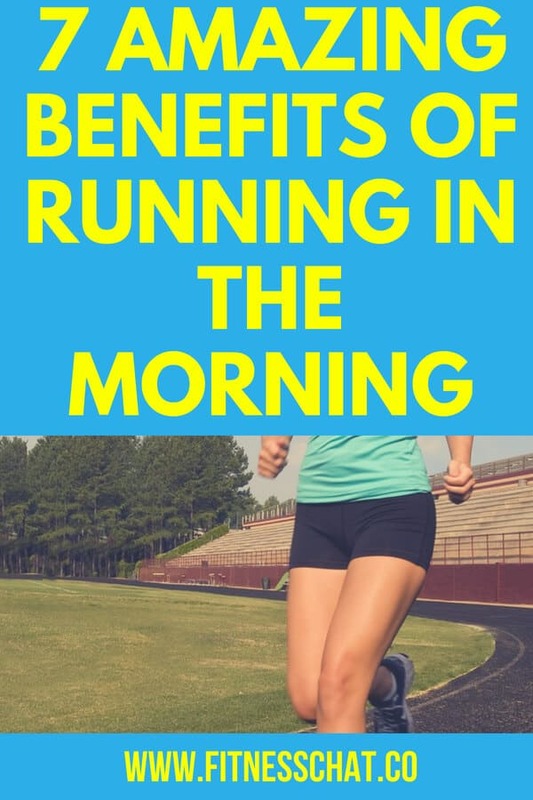 The reasons above are why running in the morning is the best way to stay consistent with your exercise schedule. It is highly unlikely that something will come up to upset your running in the early hours of the morning. 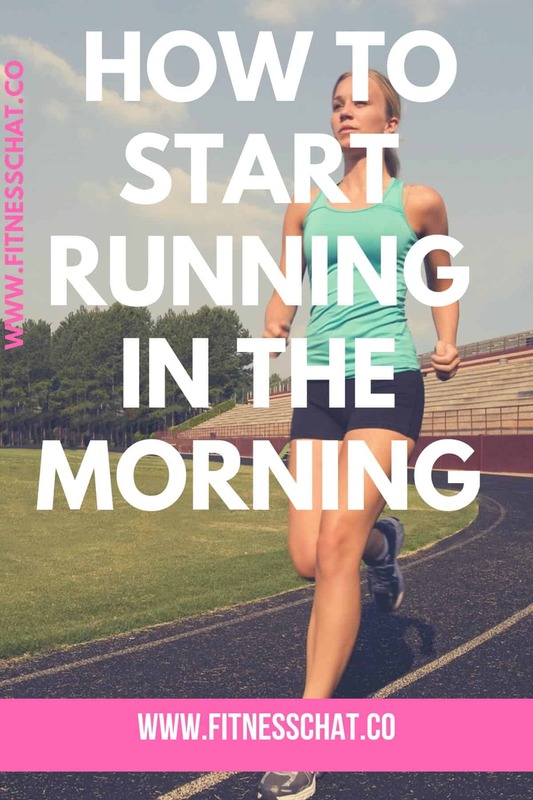 Once you start setting the early mornings aside to exercise, you will realise how easy it is to stay committed to your fitness journey and soon be reaping the benefits of running in the morning. Running in the morning will free up time for you in the evening to relax with family, run errands or catch up with friends over a drink or two. Life is full of challenges that can knock even the strongest person down. The most recommended and effective way to help manage pain or stress that life usually presents is exercise. 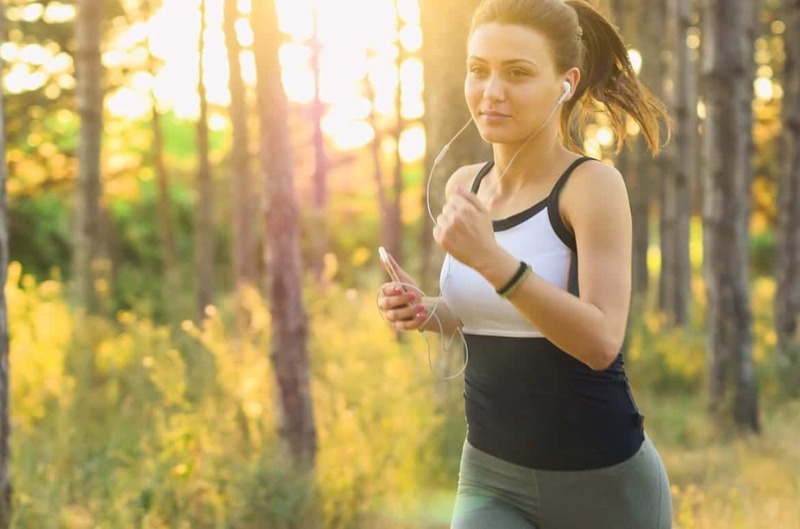 Running and other forms of exercise stimulate the production of the body’s natural painkillers called endorphins, best known as feel-good hormones. When endorphins are released, the body gets flooded with euphoria, and while you can’t run away from your problems, experiencing a runner’s high in the morning will run will definitely help reduce stress. One of the great benefits of running in the morning is that it leaves you feeling energised and ready to take on the day. Apart from endorphins, the body releases other brain-boosting chemicals during exercises such as dopamine, and serotonin. The hormones released during running and other forms of exercise will leave you feeling energised all day long, think caffeine-kind-of boost. There is no argument that regular exercise does improve the quality and quantity of sleep even for people with sleep disorders. However, the timing of the workout is important because individuals are affected differently. Some people have no trouble falling asleep after running in the evening while others like me, find it hard to drift off after vigorous activity close to bedtime. If you fall into the latter category, then you will benefit from running in the morning. As said earlier, running revs up your energy and if you do it in the morning, that energy will be used up during the day and you’ll be ready to nod off at night. But if you go jogging in the evening, chances are that you will have a restless night. It takes discipline to get out your comfy bed to go and run. Discipline only happens when you stay committed to your fitness goals and keep showing up every morning. Once you have mastered the art of self-discipline, you will stop looking for outside sources of motivation. Because there are fewer cars on the road in the early mornings and fewer people out and about, running in the morning is so calming. The air is fresh, the streets quiet, nature is beautiful; what better time to entertain your thoughts and reflect on life than during early morning runs? 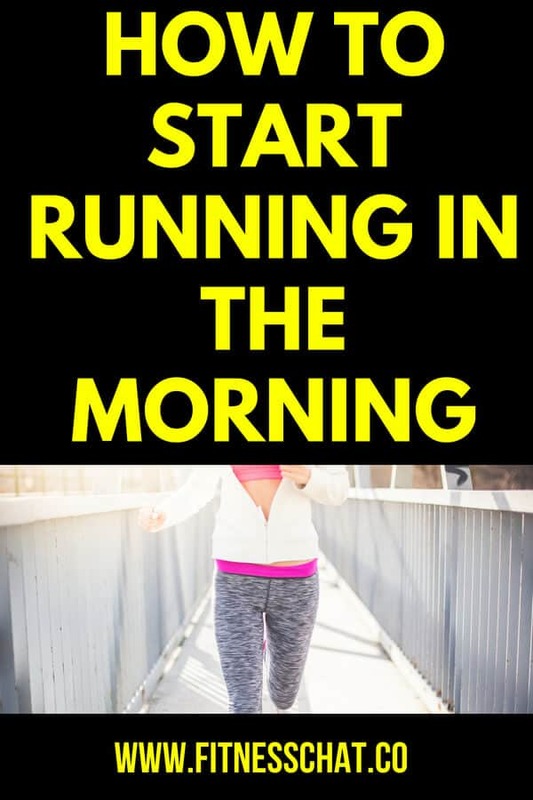 So you now know the benefits of running in the morning and you are convinced you want to do this but you also know it’s easier said than done to get out of bed for early morning workouts especially if you claim not to be a morning person. If your fitness goals are important to you, you will find a way to drag yourself out of bed, and that is rule number one. Define your ‘why’. Your work here is halfway done as I have outlined for you the benefits of running in the morning. You have to remember that the ‘why’ comes in many forms and differs from person to person. 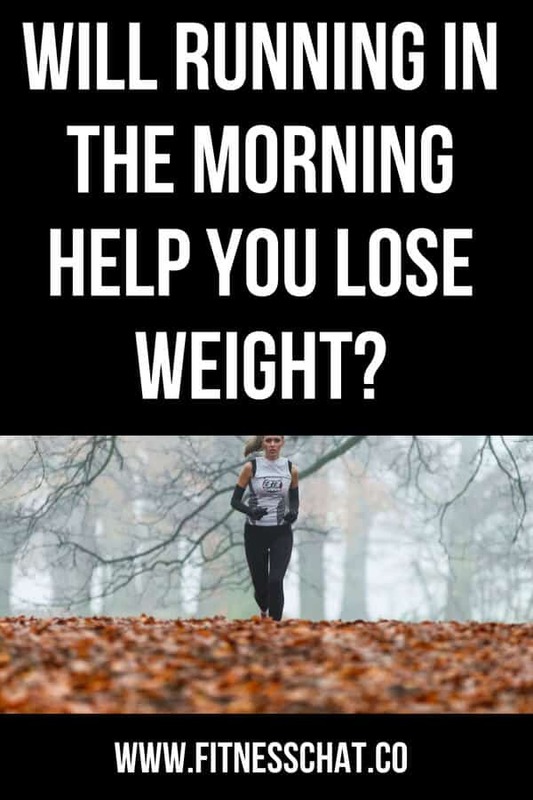 Yours could be that running in the morning will become an outlet for stress, or that you want to lose weight for health reasons. Whatever the case, make sure your ‘why’ is strong enough to motivate you to keep showing up every day! Your early morning run is not going to happen if you treat the night before like any other night and simply rely on your alarm clock to get you out of bed. Unless you have exceptionally strong willpower, chances are that you will hit the snooze button the moment the alarm goes off at 5am. Set up your alarm clock and place it far away from arm’s reach so that you have to get up to turn it off. 3. 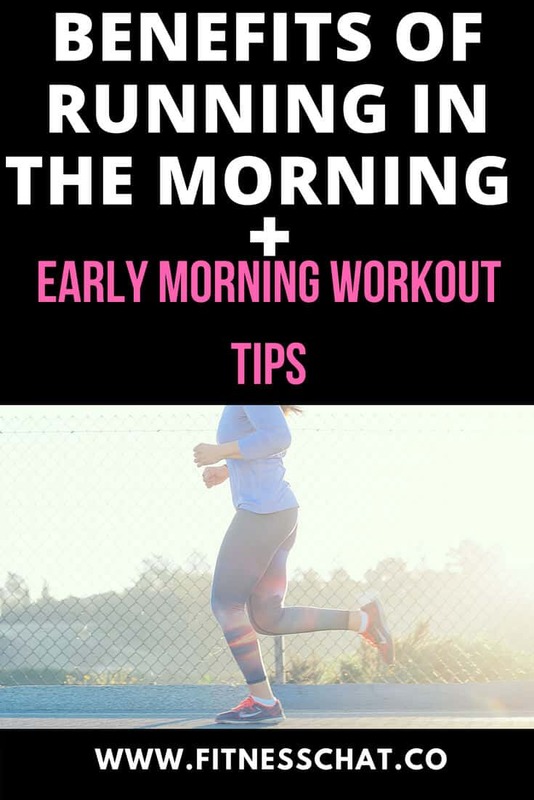 Lastly, have a cup of coffee right after you wake up if you need an energy buzz and keep the workout short the first couple of days until waking up early in the morning to go running becomes part of your normal routine. What some awesome benefits to starting the day off with a run! I have to admit I wish I had ran more when I was able to! I am a morning person so getting anything done in the morning is a bonus for me. I can see how running first thing would get everything in your body up and going. I’m not a runner, but I can see how this advice overlaps any type of exercise, or, just life in general! I don’t run, but I do go to the gym 3 times a week really early in the morning. It gets my day going and I love that I am done with it first thing and I can just go on with my day. I no longer run, but I do 30 minutes of stairs at the gym every day. I do not make a point to do this first thing in the morning, but I think I have to change that based on your reasons above! Thanks! I’m not a runner but work at the gym and these same tips apply to that. I love to get my work out in the morning! Of the benefits you shared, I think #7 is my favorite! I used to jog but I could never run. Now I walk dogs and work in my yard and that gives me a lot of exercise. I prefer to power walk or ride bike. Running is really hard on my knees. Running used to be a hobby of mine. This is some really great info! Yup, I usually run in the morning. Mostly to get it over with. Also because it’s cooler. I live in Texas, and I’d rather not run in 90 degree weather. I really need to work up my cardio and become a morning runner/exerciser. It is so good for you to get your blood pumping before tackling the day ahead. These are all wonderful tips. I typically walk in the mornings. I have to try and incorporate running as well. Love all of the benefits that it has. My sister has recently started running in the mornings. I wish I could do it. It would be a wonderful way to start the day off right. What I love about running or exercising in the morning is that I feel more energized throughout the day! I think these are awesome benefits that we can all get used to! It’s just going to improve our health so much! I love working out in the morning. It totally sets the tone for my day. It’s been a challenge this summer with my son not in school, but looking forward to getting back into the routine this fall! I’ve always wanted to run in the morning but I’m afraid of how ridiculous I’ll look. I used to wake up and walk (after I had my oldest daughter) and I loved it! I need to get back to morning exercise for sure. I don’t know about running but I do like to walk my dog as soon as I get up in the mornings. We like to power walk around our neighborhood, it gives her a chance to empty her bladder and me a chance to move my booty!